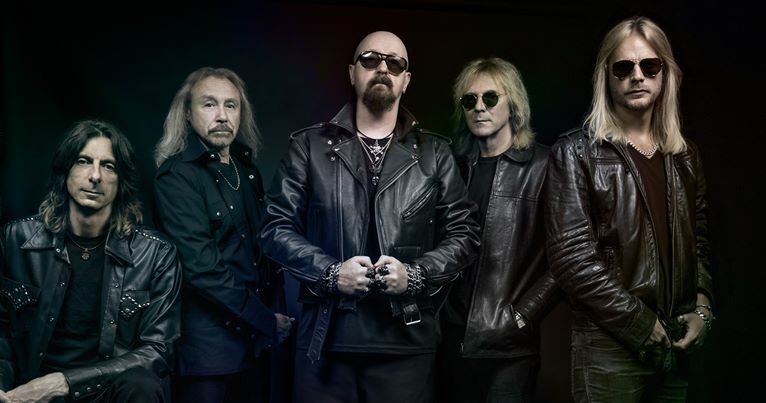 Judas Priest are streaming a snippet of a video for the new single, “Lightning Strike”, ahead of its release on January 5. Alongside the title track, the tune is the second song previewed from the veteran UK metal band’s forthcoming album, “Firepower”, which is due this spring. Recorded last year with producers Andy Sneap and Tom Allom, the group will launch their 18th studio record on a spring North American tour that will begin March 13 in Wilkes Barre, PA.
Judas Priest were recently named as one of 19 nominees under consideration for entry into the 2018 Rock And Roll Hall Of Fame; despite being one of five acts that earned support on the Rock Hall fan ballot, the group failed to make the final cut with their first nomination. "Personally, I would love it, yeah,” frontman Rob Halford told 100.7 KSLX in Phoenix, AZ about his desire to enter the Cleveland-based institution. “I've said it before, I think we deserve it. We've put our 10,000 hours in and more. And beyond that, we just feel that heavy metal music deserves more space on the shelf at the Rock And Roll Hall Of Fame. "We were thrilled and honored to be even nominated, but it'skind of bittersweet we got the nomination, which is something of a recognition for the work that you've done, but we didn't quite get in this time. But I'm hopeful that eventually we'll get some more metal in there." You can watch the full "Lightning Strike" video at hennemusic here.